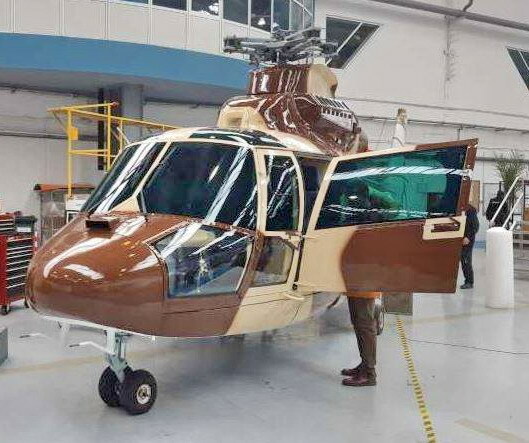 Djibouti’s Air Force has taken delivery of four AS365N Dauphin helicopters upgraded by Airbus Helicopters in Romania. The four helicopters arrived in Djibouti on 16 January aboard an Antonov An-124-100M transport aircraft. They will be based at Base Aerienne 188 at Djibouti-Ambouli International Airport in the capital. The upgrade of the aircraft took about two years at a cost of five million euros and was carried out by Airbus Helicopters Romania. This included general overhaul and converting one into a VIP transport with two crew and four passengers. Two were converted into passenger transports while one remained in its original medical configuration. All four helicopters were previously used by the Royal Saudi Armed Forces Medical Services. Djibouti first revealed its four Saudi Arabian-sourced Dauphins in 2016. According to the Stockholm International Peace Research Institute, the aircraft were financed by Saudi Arabia. Djibouti’s military has recently received substantial amounts of new hardware, including aircraft. In mid-2016 it took delivery of two Harbin Y-12E aircraft from China, joining an MA60 delivered in 2014. It has also received two second hand C-23B transports donated by the United States. Other helicopters in Djibouti’s Air Force are believed to include an Mi-8, Mi-17 and AS 355F Ecureuil II as well as two Mi-24 Hinds.